Irwin Simon, chief executive of Hain Celestial Group Inc., thought he was getting a prank call. “There’s a guy named Carl Icahn on the phone,” his assistant told him that day in 2010. It wasn’t a joke. The famous activist investor had taken a 12% stake in the natural-foods company and wanted to talk. “After that, it became like a circus,” Mr. Simon says. Suppliers bombarded him with anxious inquiries. Customers worried that Hain’s products wouldn’t make it to shelves. Bankers and lawyers pitched their services. “It was kind of like an earthquake went through the company,” he says. 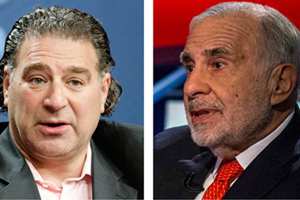 Mr. Icahn’s arrival inducted Mr. Simon into a growing club: CEOs forced to contend with activist investors. Activists, who typically buy stakes in companies and press for strategic and financial changes they think will drive a stock higher, are busier than at any time since the financial crisis. In the first nine months of this year, they launched 238 campaigns seeking changes at companies, the most since the same period of 2008, according to FactSet SharkWatch, a data tracker. They also are winning more often. 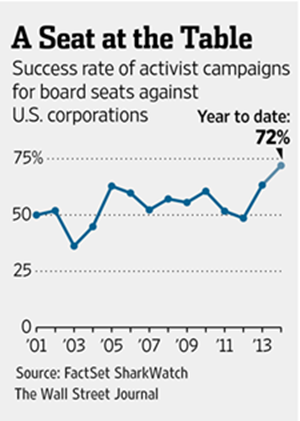 So far this year, they scored at least a partial victory in 72% of campaigns for board seats, up from 57% in 2008, according to the data tracker. It is a sign of their increasing support from shareholders, who have become more assertive in challenging CEOs since the financial crisis. Activists have successfully shaken up numerous companies and, on average, boosted stock prices, increasing their appeal and drawing a flood of investor money to fuel even more campaigns. How chief executives respond has become a new measure of their mettle. Managing an activist can affect their company’s shares, their reputations and their job security. When boards search for new chiefs, recruiters say, they now regularly ask: How would you handle an activist while still pursuing the company’s strategy? Some CEOs have passed the test. Netflix Inc. ’s Reed Hastings earned the respect of Mr. Icahn, who in 2012 wanted the online video company to sell itself but dropped the idea after Mr. Hastings showed him a private screening of its soon-to-debut series “House of Cards.” That helped convince Mr. Icahn that the company’s future was bright. The stock’s gains since then have earned him nearly $2 billion. Other CEOs found the door. Clarence Otis Jr. of Darden Restaurants Inc. announced his retirement in July under criticism from investment firm Starboard Value LP. In 2012, Scott Thompson exited Yahoo Inc. after investor Dan Loeb ’s firm revealed an error on his résumé. Last week, William Ruprecht, the long-time CEO of auction house Sotheby’s , said he would step down, six months after Mr. Loeb questioned the company’s strategy and joined the board. Today’s activists stand in contrast to their predecessors in the 1980s: corporate raiders who would emerge with big stakes and tough talk, making dramatic attempts to buy targets with debt-fueled offers. They often were derided as bullies looking to turn a quick profit by getting companies sold or cashing out their stakes in exclusive deals with the companies. 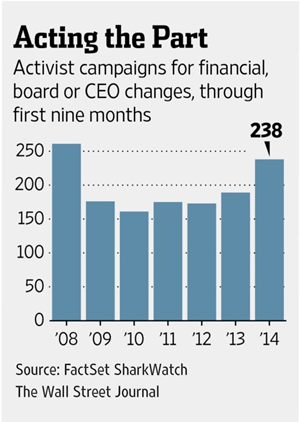 Increasingly, activists are offering more ideas about a company’s future. They often seek board seats and try to persuade management and other shareholders that their strategy for a company is superior. Even some corporate defenders say activists these days are more informed about companies and industries. Though activists remain controversial, and still sometimes push to sell a company quickly, their successes in creating value have increased shareholders’ expectations that chief executives engage with them. As a result, CEOs now prepare exhaustively. Advisers compile lists of activists’ names, in case one approaches at a conference. They write fake “white papers” about companies’ shortcomings to highlight corporate weaknesses antagonists could flag. Some role-play famous activists at board dinners. These fire drills help, but little can prepare someone for the real-life scenario, executives say. “Such reactive procedural moves are like the old ‘duck and cover’ civil-defense drills: They give the illusion of safety without providing it,” Boston Consulting Group advised clients this year. A standard playbook of first steps has emerged for chief executives confronted with an activist. They form SWAT teams, including the chief financial officer and, often, independent board members, to plot strategy. They hire bankers to pore over shareholder and trading records to see who is piling into the company’s stock and likely to back the activist. They weigh potential responses, such as using a “poison pill,” a controversial tactic that blocks the activist from buying too big a position. Lawyers nitpick activists’ letters, a process some call “bed bugging,” to find potentially misleading statements they can flag to regulators. For instance, Allergan Inc., the maker of Botox, raised concerns with regulators about filings from activist William Ackman and Valeant Pharmaceuticals International Inc., which together had been trying to buy the company. Allergan wanted regulators to scrutinize their unusual arrangement, in which Mr. Ackman purchased Allergan shares knowing a lucrative takeover offer was coming. Mr. Ackman, Valeant and legal experts say it was legal. Regulators haven’t commented. Earlier this month, Allergan thwarted Valeant’s bid by agreeing to be acquired by Actavis PLC, a Dublin-based seller of generic medicines, in a $66 billion deal that would be the year’s biggest. Still, even though Mr. Ackman didn’t get the deal he expected, he is in line to make about $2.2 billion on his investment, showing how activists often can make money even if their specific ideas are rejected. Beyond the basics, the game plan falls largely to the CEO. The experiences of two of them— Sandra Cochran at Cracker Barrel Old Country Store Inc. and Mr. Simon at Hain—offer contrasting portraits of how to handle an activist. When Ms. Cochran took the reins at Cracker Barrel in September 2011, she was charged with returning the casual-dining chain to strength after two disappointing quarters. 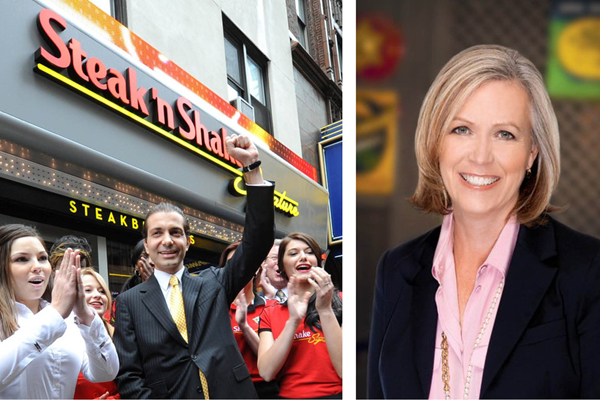 She had a six-point plan, including highlighting Cracker Barrel’s made-from-scratch cooking in a new marketing push, refining the menu to adjust to lower consumer spending, cutting restaurant costs and bringing new blood onto the board. Meanwhile, some of Mr. Biglari’s actions alienated executives and board members. He uses sharp language and often hangs up on them, according to people familiar with the calls. And his holding company recently bought the publisher of racy men’s magazine Maxim, raising eyebrows at Cracker Barrel, which doesn’t serve alcohol and strives to project a folksy, family-friendly image. Mr. Biglari declined repeated requests for an interview. He has said he believes as a holder of 20% he has a right to a board seat and that the company’s brand should earn even better returns than it has. The company’s improving stock price has strengthened Ms. Cochran’s hand. Since she took over as CEO, Cracker Barrel’s total return is about 260% including dividends, nearly triple the S&P 500’s 92%. Mr. Biglari’s stake, which he has said cost him about $241 million to build, is now worth $589 million. Tuesday, Cracker Barrel stock hit an all-time high as it topped expectations for the fiscal first quarter and raised its guidance for the year. Still, despite Ms. Cochran’s successes, she can’t breathe easily: Mr. Biglari still owns one-fifth of the company. Mr. Simon says he was determined not to make Mr. Icahn the enemy or distract the company with an acrimonious fight. Rejecting advice from bankers and lawyers, he decided to attend his first meeting with Mr. Icahn alone. The two dined at Mr. Icahn’s Park Avenue apartment in New York, where the activist raised concerns about costs and compensation, but expressed optimism about the natural-foods business. Soon after, Mr. Simon granted Mr. Icahn two board seats, including a position on the committee that determined the CEO’s pay. He says he sought Mr. Icahn’s ideas and turned to the activist’s board members for advice on acquisitions. The two had dinner at least three times a year, either at the New York apartment or Mr. Icahn’s house in the Hamptons on Long Island. Still, tension remained. Mr. Icahn, known for making late-night phone calls, would ring Mr. Simon at 11 p.m. and talk for hours about lowering costs such as insurance rates and audit expenses. Sometimes, he pressed Mr. Simon to sell the company. “I’m not doing it. I’m not doing it,” Mr. Simon says he would reply. Mr. Icahn told Mr. Simon he could be paid well, but to take his rewards in shares so that he got rich if other shareholders did too. In 2012, Mr. Simon’s contract was up for renewal and the sides negotiated a new one: Mr. Simon gave up a yearly grant of stock options and instead received a smaller one-time bunch of restricted stock that had both performance and time hurdles. They developed a mutual respect, the men say. But Mr. Simon knew Mr. Icahn, who continued buying more Hain shares, kept a close eye on the stock price and that if Hain faltered, the dynamic could change. Instead, Hain’s revenue grew, natural and organic foods became more popular and the stock market surged. The company sported a $140 million profit for its fiscal year ended in June, nearly five times the figure in 2010. Costs were 14.5% of total revenue, down from 18.8% the year before Mr. Icahn arrived. In October last year, the two toasted each other at a dinner after Mr. Icahn sold his shares, which had risen nearly fourfold since 2010, likely yielding the activist more than $400 million in profits, according to filings. Mr. Icahn praises Mr. Simon’s savvy read on consumers and skill at spotting good acquisition targets. “I think he had a passion,” Mr. Icahn says, adding that the CEO’s willingness to work with him constructively helped.